S. Shrikrishna of India set a new highest break of the 2018 World Under-18 competition by scoring 126 points in the first frame of his match against Eelis Lappaiainen of Finland. Without giving any chance, he went on potting each ball precisely and soon converted his shots into this mammoth break. Later he won the match 3-nil scoring another break of 61 points in second frame. This is his second victory of the day and with that his chance to qualify for knockout is almost certain. 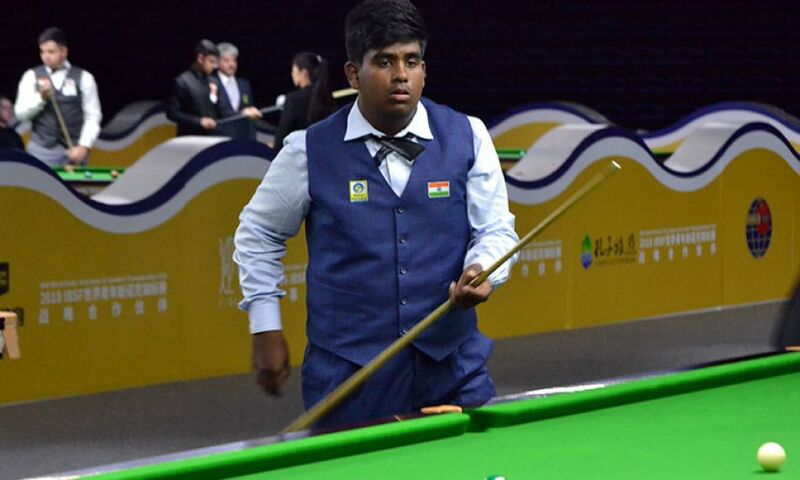 Another Indian boy Digvijay Kadian also registered 3-nil win against Alex Pace of Australia. He controlled the match very well since the beginning and ended it scoring a well-crafted break of 80 points. This is also his second win of the day. However, there is a setback for Austrian player Florian Nüβle, who suffered a shock defeat by Chinese player Jin hong Deng 0-3. Jin made break of 75 in the opening frame and after that curtailed Florian to recover at any stage. However, Florian had a good chance to make it level in second frame but fall short to trail 0-2. Some important positions he further missed in third frame and accepted that defeat.